We had a great time watching surfing hippos! We headed back to camp to find a local bird. 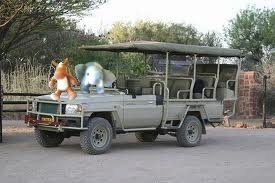 We decided to stay in our safari vehicle to watch these birds as they are known to be aggressive. Do you have goose where you live? We have the Canadian variety and they can get very cheeky! We were so glad we packed our binoculars and snacks. 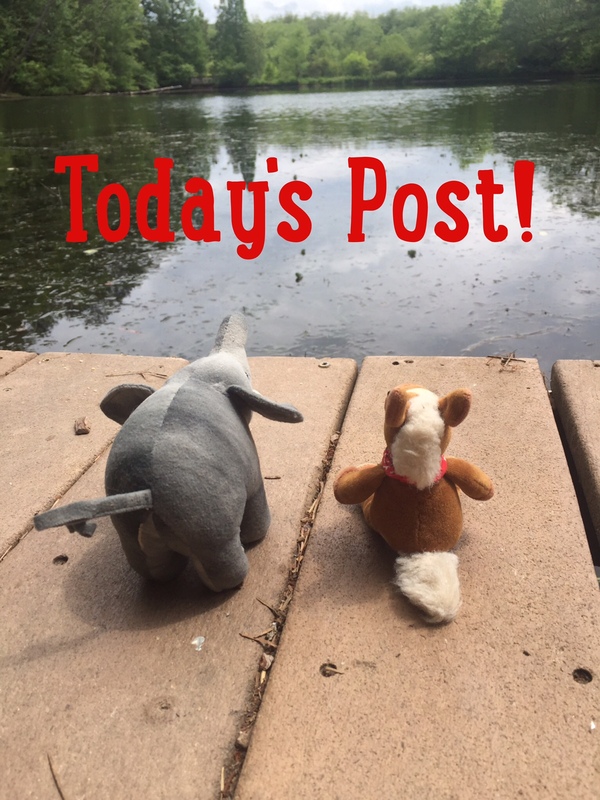 An afternoon of bird watching can make an elephant and horse very tired. They are omnivores (they eat seeds, plants, grasses, bugs). 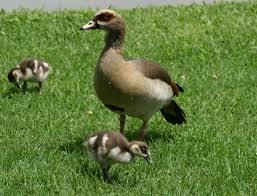 Egyptian Geese are the relative of the common ducks. 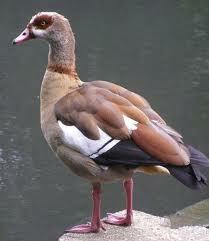 Egyptian geese have bright orange long legs. 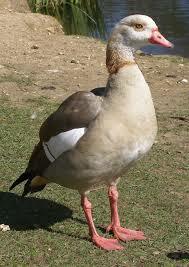 Egyptian geese have dark coloration around the eye, with a bright orange spot. The males and females look the same, but the geese due vary some in color in different areas. They are very aggressive and territorial. Females can be extra territorial when they have eggs and chicks. We had such fun watching the Egyptian geese play around, eat and make a raucous. Geese are funny birds. We’re packing our bags after this trip and heading back to HQs for the weekend! Check out the blog on Sunday- as our new feature- Science Word of the Week starts!